City Councilman Kalman Yeger (D-Borough Park, Bensonhurst, Midwood and Kensington) could introduce a bill as early as tomorrow that could eliminate the Office of Public Advocate, a position that was recently left open with the historical election of current Public Advocate Letitia James to state Attorney General. The Office of Public Advocate was first created in 1993 and serves as a direct link between the electorate and their elected officials by acting as a watchdog for all New Yorkers. The Public Advocate acts as an ombudsman for city government, providing oversight for city agencies, investigating citizens’ complaints about city services and making proposals to address any shortcomings or failures of those services. It is also the first in line to succeed the mayor. Under Yeger’s proposal, if enacted, the question of keeping the Office of Public Advocate would be presented to voters in a referendum. Yeger is a member of the Committee on Government Operations. “The Council cannot legislate the office out of existence, no one is trying to do that,” Yeger stated in a social media post. In recent years, the position has been used as a springboard for politicians looking to become major players in state and local government including as a route to mayor. Mayor Bill de Blasio himself held the position before being elected to mayor in 2013. De Blasio remains a strong supporter of the city position and believes it still has merit. “The mayor supports the advocacy and the check on City Hall power that the office provides,” said de Blasio spokesperson Eric Phillips. James also maintains the office serves as a crucial check and balance to the executive and legislative branch of city government. “The Public Advocate’s Office, under Tish James, has played a critical role protecting the lives and interests of tens of thousands of the most vulnerable New Yorkers – and the sponsors of this bill know that full well. From groundbreaking legislation to ban salary history, to holding NYCHA and bad landlords accountable, to protecting tenants, children in foster care and children with disabilities, Public Advocate James has moved the needle forward every day of her tenure. Our most vulnerable communities will be the real losers if political games get in the way of real work,” said James spokesperson Delaney Kempner. 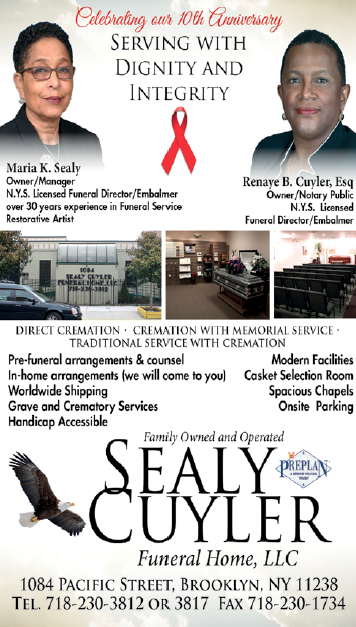 Current co-sponsors on the bill include City Councilman Ritchie Torres (D-Bronx) and Rev. Ruben Diaz (D-Bronx), who argue that the $3 million price tag of the position could be allocated elsewhere, according to initial reports from State of Politics. 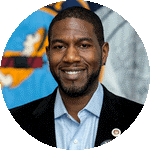 The news comes just as two top Brooklyn City Council members look to fill the void left open by James, including City Council member Jumaane Williams (D-Flatbush, East Flatbush, Midwood) and City Council member Rafael Espinal (D-Bushwick, East New York, Crown Heights, Brownsville, Cypress Hills, Bedford-Stuyvesant), who officially announced his candidacy today. “The Public Advocate was not created to be a stepping stone or a launchpad, it was designed to be a vital watchdog for issues that New Yorkers are struggling with every day while holding government accountable. As it stands, the Public Advocate’s Office has the ability to be that, but it can and should be strengthened. It seems odd to me that the answer to the watchdog not being strong enough isn’t to empower more but to eliminate it,” said Williams. “I believe the Office of Public Advocate plays a crucial role in keeping the city accountable. New Yorkers need an independent voice with big ideas and a vision for the city to help bring about a better future,” said Espinal. City Council Speaker Corey Johnson (D-Manhattan), who will legally fill the vacancy, is unsure of the bill’s future but is reviewing the legislation. “The bill was just introduced. Corey has not had a chance to review it. He will monitor it as it goes through the legislative process,” said Johnson’s spokesperson Jennifer Fermino. De Blasio is expected to call for a special election to fill the vacancy early next year. Next articleWhat Happens After an Election?